Pediatric hospitalist Haneme Idrizi, MD, associate professor of pediatrics at SIU Medicine, was awarded the Ray E. Helfer Award, which recognizes creative, scholarly work in pediatric education. Idrizi received the honor for her abstract, titled “Promoting Interprofessional Collaboration between Resident Physicians and Nurses,” at the association’s annual meeting on March 29 in Baltimore. The award, presented by the Academic Pediatric Association, is named in honor of esteemed pediatric educator, child advocate and past Academic Pediatric Association president Dr. Ray E. Helfer. “This is truly the most prestigious award given for pediatric education research at the largest pediatric research meeting,” said Doug Carlson, MD, chair of the Department of Pediatrics at SIU Medicine and medical director of HSHS St. John’s Children’s Hospital. 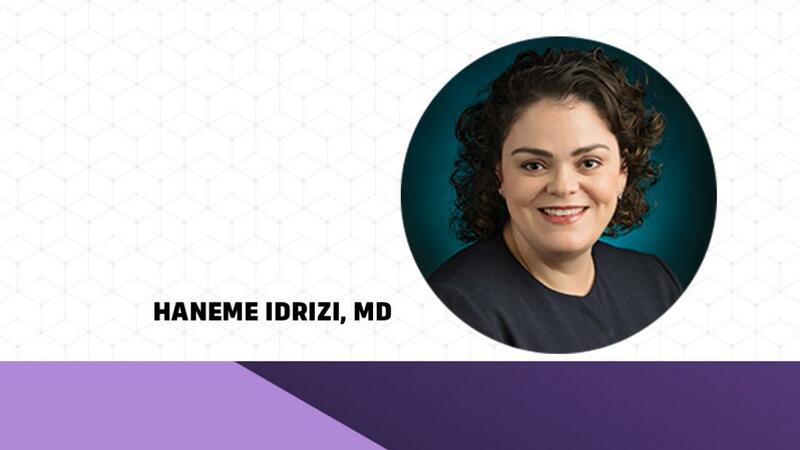 Idrizi earned her medical degree at Southern Illinois University School of Medicine in 2003 and completed a pediatric residency at the University of Texas Health Science Center at San Antonio in 2006. In 2017, she was named the UT Health San Antonio Pediatric Faculty of the Year, an award bestowed by the graduating medical school class for excellence in teaching. Idrizi has extensive experience in curriculum development and implementation and is an active member of the Academic Pediatric Association and the Council on Medical Student Education in Pediatrics.